Our wallets will get a much-needed break on September. Nintendo recently announced that Legend of Zelda: Four Swords will be released for free via DSiWare. It'll be playable on the Nintendo DSi/XL and 3DS. 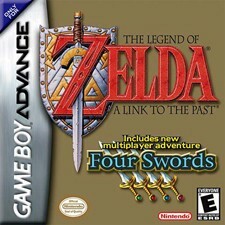 The Legend of Zelda: Four Swords was included in a couple of Zelda games but the one in question is the GBA version. There's no clear info yet if the game will be a total port or if any revisions would be made.